If you’ve been staying up to date on the latest auto industry news, you’ve likely heard a lot about electric vehicles (EVs). EVs are the most important advancement in the future of transportation to date and an indicator that our technology is becoming smarter and greener. EVs are becoming popular not only with consumers, but with the auto industry. Auto Loan Solutions created the below infographic to shine a light on the many new advances in EVs, and how this technology will become a key player in the transportation industry – maybe sooner than you’d think. Tesla plans on building 1,000,000 EVs by 2020, and Ford plans to invest $4.5 billion in EV development, with the goal of creating 13 new models by 2020. Rising interested in EV investment is a result of many factors, including that these vehicles are more economical, cost-effective and environmentally friendly, to name a few benefits. 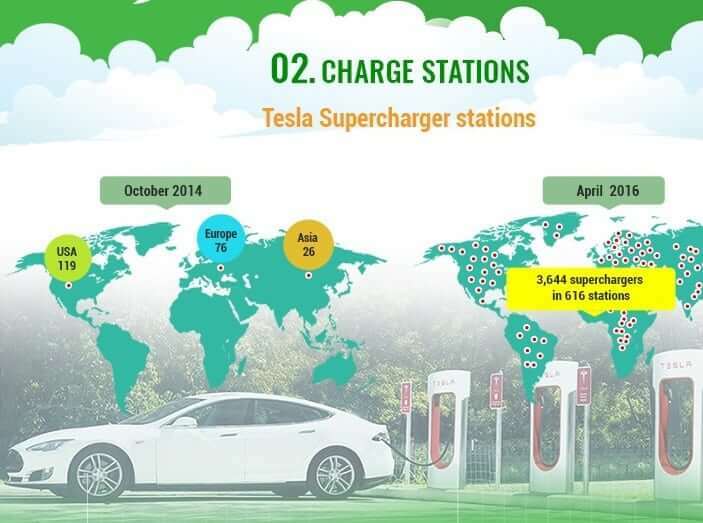 In Japan, charge stations for EVs outnumber that of gas stations, and there are currently more than 255 ultra low emission zone (ULEZ) cities around the world that have restricted gasoline and diesel vehicles. This infographic highlights all of ULEZs around the world located in the European Union, Latin America, Singapore and China. As well, there are several companies, including UPS, currently taking advantage of EV fleets. If the environmental benefits and the growing influence of these vehicles isn’t enough to convince you of their value, the infographic states that the lifelong fuel savings of an EV amounts to roughly $13,000. See another auto news with an infographic – Ford Mustang 2015 details in graphic. The benefits of EVs for our wallets and the environment are endless. Whether or not you’ve been keeping up to date on the latest transportation industry news, the above infographic will offer some surprising statistics that will make you feel confident that we can create a greener future. If you feel the above graphic and content to be informative, do spread the word. This article was published in Automobiles and tagged Electric Vehicles, Infographics.